Sick Child Session from BMX Freestyler on Vimeo. With special guest Ed Nussbaum. The ATX Crew throws down a great session. There were many things that went down during the session that didn't get caught on film. 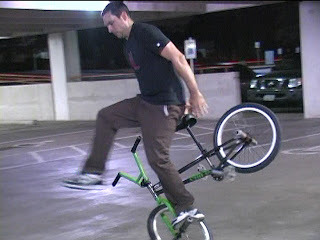 If you have never experienced Austin Texas Flatland session at the O.G. then you need to make a trip to Texas to see for your self. WOW !! great riding from those guys ,whose the blue bike guy ? he's sick. Diego Tejada from Texas, realy sick!!! !